As the nation’s premier auditing body, the Australian National Audit Office (ANAO) has a responsibility to ensure that taxpayer money is well spent. Defence is no exception, so why, as ASPI claims, has the same diligence not been afforded to the nation’s growing list of defence mega projects? The government's commitment to $200 billion investment in the nation's defence apparatus and capabilities over the next two decades is characterised by a series of increasingly complex 'mega projects'. Ranging from the projected $80 billion Future Submarine (SEA 1000) won by Naval Group, the $35 billion Future Frigate (SEA 5000), $17 billion F-35A Joint Strike Fighter purchase and the combined LAND 400 Phase 2 and 3 projects worth approximately $10 billion, the projects all serve as clear examples of such mega projects. Given their complexity, it is expected that Australia's defence procurement programs, like many throughout the world, would suffer delays, project overruns and the like, however the recent and well documented cost overruns and project delays that hindered the initial procurement of the Navantia designed Hobart Class Air Warfare Destroyers, Collins Class submarines and MRH-90 Taipan multi-role helicopters have highlighted the need for greater scrutiny throughout the procurement phase of major defence projects. In light of such scenarios, the Australian Strategic Policy Institute (ASPI) has long called for greater transparency throughout the defence procurement cycle and closer public scrutiny of Defence's Integrated Investment Plan and the department's broader procurement practices. Given the continuing lack of transparency, should the public and service men and women be concerned? In response to such serious project delivery and cost overruns, the ANAO has provided annual reporting (since 2008-09) in the form of the Major Projects Report (MPR), which provides the public with greater transparency and understanding of Defence's procurement cycle, procedures and the costs involved with supplying the capabilities needed to defend the nation and its interests. These concerns were echoed by Liberal senator and former Brigadier Linda Reynolds CSC when she spoke with Defence Connect Podcast earlier this year: "It's in that committee [joint standing committee on foreign affairs, defence and trade] where we're really looking at the longer-term implications, that we think we've got a greater role over numerous governments to make sure that Australian money is not only being well spent, but we're getting the best possible capability for what we can afford. And there's clearly room for improvement." 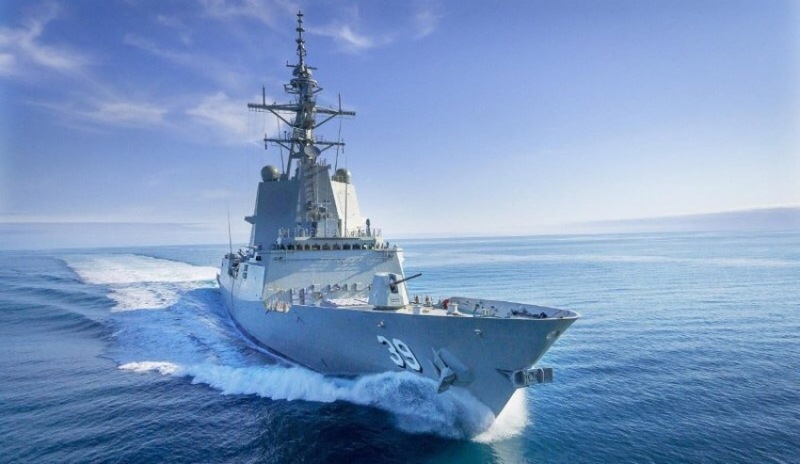 Senator Reynolds' calls for closer monitoring of cost and capability delivery are echoed by South Australian senator Rex Patrick when speaking with Defence Connect about the importance of the ANAO's report. "In 2011-12 it was $5.9 billion. In the years that followed it jumped to $6.5 billion, then to $16.8 billion and then to $18.5 billion. This year , across the 27 major defence acquisitions in the ANAO report, it's the number I just talked about: $21.5 billion. That's a $21.5 billion blowout compared to what the government approved when it committed to the projects," he said. As the ANAO itself has reported, the department's own risk assessments of aspects of the shipbuilding program were categorised in the 'extreme' risk category. Looking abroad to both the US and the UK, each with their own defence mega project cost over runs and delays, such as Lockheed's F-22 Raptor and F-35 Joint Strike Fighters, new Ford Class super carriers and Zumwalt Class stealth destroyers, and the increasingly troubled Type 45 Destroyers and Type 26 Frigates in the UK. These have resulted in smaller unit buys, costly project delays and an impact on operational and strategic capability. As we get closer to an announcement on the winning design for SEA 5000 and government continues to nurture a sovereign shipbuilding capability to support the Future Frigate and Future Submarine programs, it is prudent that transparency, oversight and the budgetary impacts of such mega projects are tightly managed to prevent a broader detrimental impact on Australia's long-term operational, strategic and economic capabilities. The full ASPI review can be viewed here.